As an environmentally conscious web-based company we provide most Statement of Attainments for our online courses* in a soft copy format. We do not post a hard copy in the mail. Your original Statement of Attainment will be emailed to you once you have been marked competent and will also be available to download from the “My Training” page when you are logged in. Just click on the PDF icon under the “Public Certification” heading next to the name of your course. You will need Adobe Reader installed on your computer to download and view your Statement of Attainment – download this for free at http://get.adobe.com/reader/. 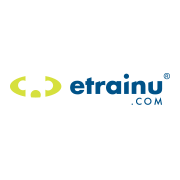 *The White Card, RMLV and NSW Food Safety Supervisor certifications are provided to etrainu via regulatory bodies. These are sent in the mail once your course is finished and any paperwork finalised.